If you’re solely a chocolate lover, you’re not going to get this. Just be quiet and use chocolate chips. But if you love vanilla ice cream better than chocolate and white chocolate chips better than chocolate chips, you are salivating right now. True, white chocolate is not sophisticated, and it’s mostly made of sugar, but it sure tastes good. And with peanut butter? Yum. 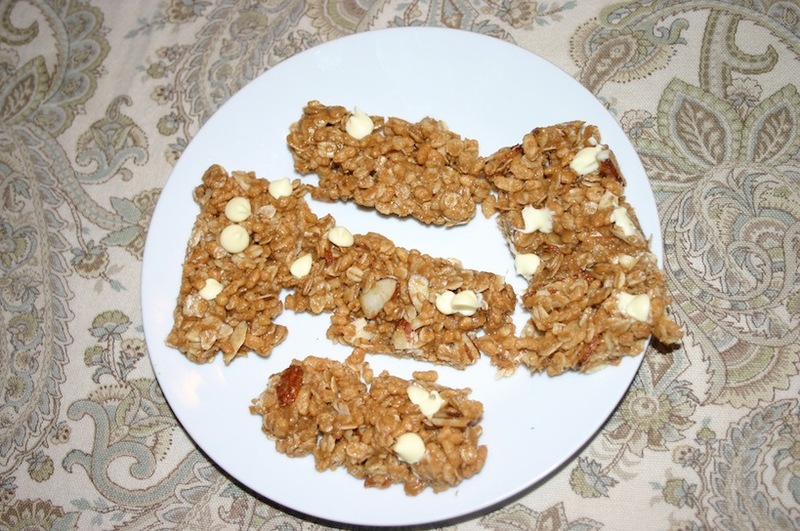 The best part of this granola bar recipe, unlike my others, is that you don’t have to bake them. Eat them right out of the pot. But of course, if you’re sophisticated, you’re obviously waiting for the bars to harden one hour in the fridge…and you’re using chocolate chips. 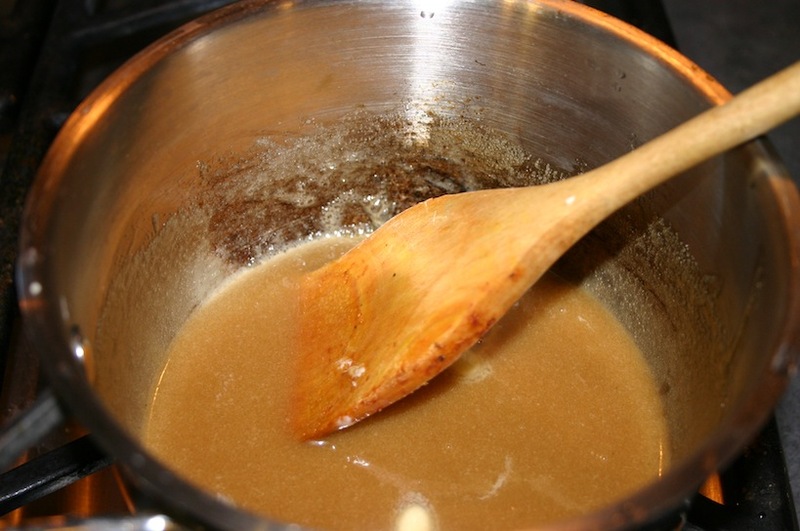 Melt the butter and brown sugar in a pot over low heat, stirring throughout. Let it bubble, while stirring, for about 3 minutes. Add the honey and peanut butter and stir. Remove from heat and stir in the cinnamon and salt. 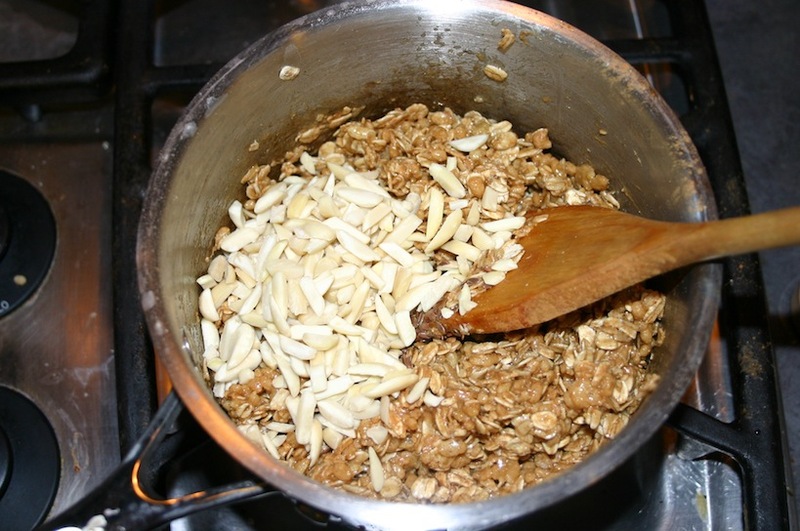 Stir in the oats, almonds and rice krispies until coated. Spread evenly in an 8×8 pan. 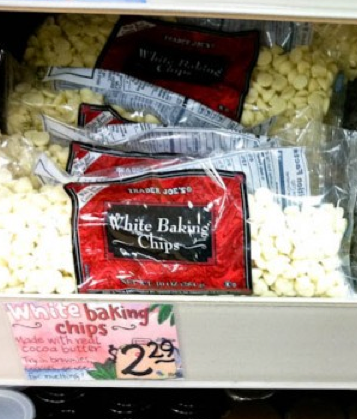 Spread white chocolate chips on top and press them down with a spatula. Refrigerate for one hour and then cut into squares.